Traditionalist architect Edward “Ted” Grenzbach may not have been a household name but he was a go-to architect for the rich and famous. 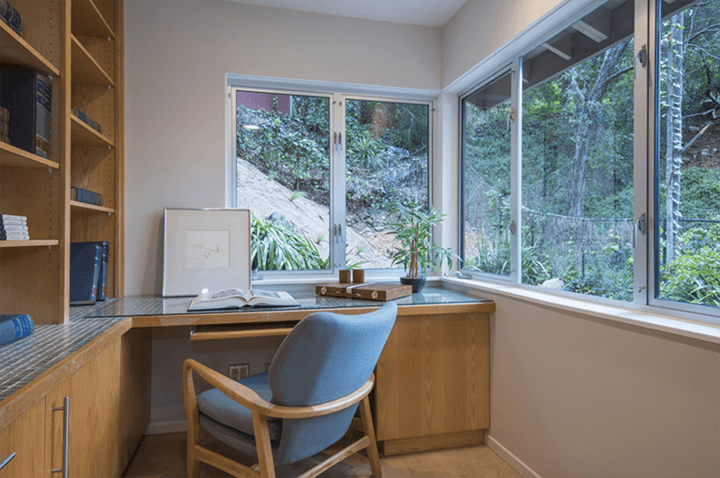 Built in 1956, 1716 Putney Road is a well-preserved three-bedroom home positioned on a secluded and intimate 11,973-square-foot lot surrounded by lush sycamore and oak trees in Pasadena. 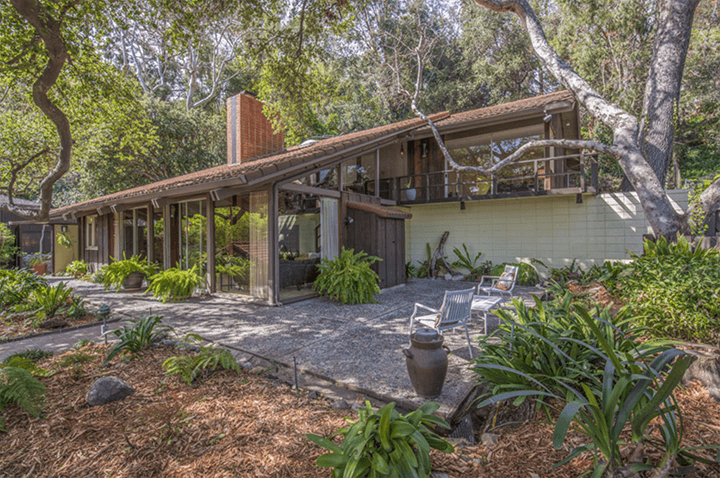 Spanning two floors, 2,429 square feet of living space opens to a well-lit living room, dining area, and remodeled kitchen. 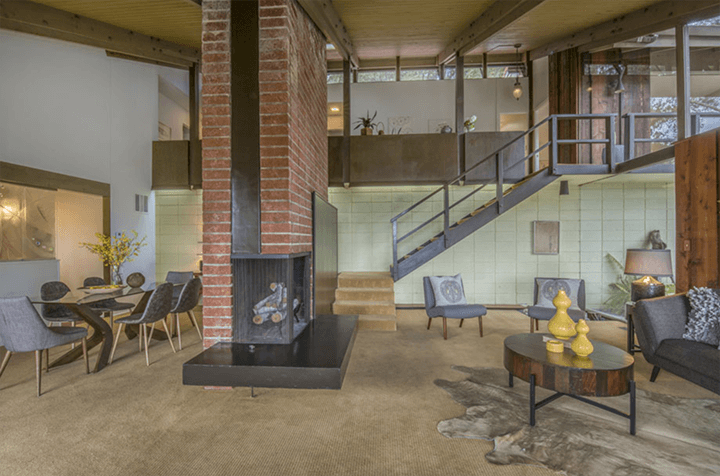 Impressive mid-century style features include soaring 17-foot ceilings, wood beams, clerestory windows, and a decorative floating brick fireplace. 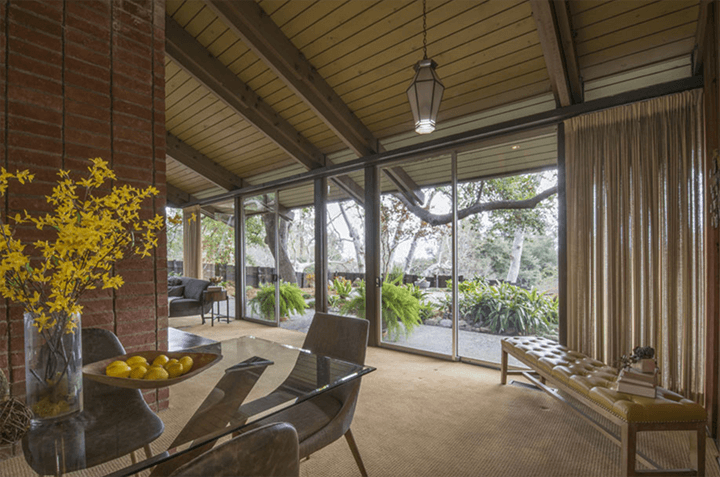 Each level enjoys access to the outdoors: wall-to-wall glass sliding doors run along the front of the residence and the bedrooms have doors leading to the backyard patio, seamlessly connecting the structure with the landscape. All the bedrooms are located on the second floor overlooking the public spaces below. An updated Jack and Jill bathroom with dual sinks joins two bedrooms. The master bedroom is en-suite with a huge walk-in closet, private office room and lovely balcony with sliding glass doors opening to tree-top views. 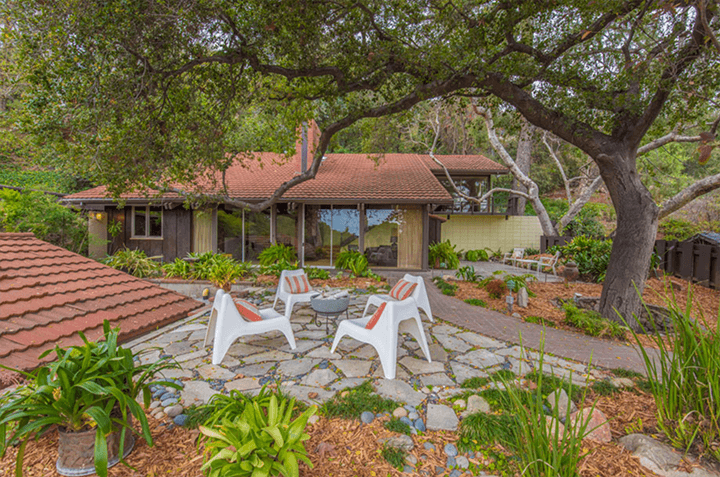 Last sold in 1978 for $168,500, the home is now listed for $1.485 million. 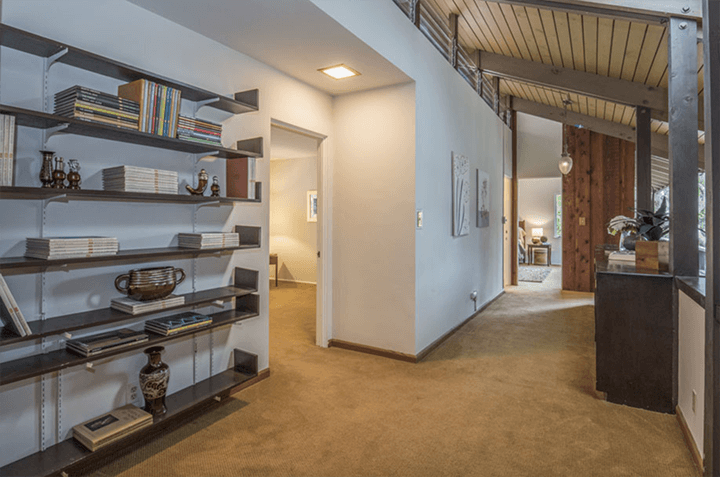 Interested in seeing this Grenzbach-designed home? Get in touch.